Intel’s newest dual-core processor for dual processor (DP) servers and workstations delivers a new level of energy-efficient performance from the innovative Intel® Core™ microarchitecture, optimized for low-power, dual-core, 64-bit computing. 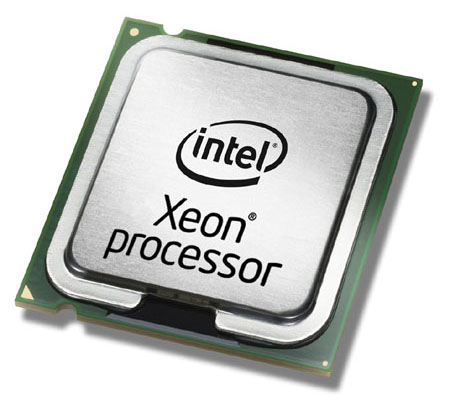 The 64-bit Dual-Core Intel® Xeon® processor 51001 series enables next-generation platforms that can drive energy-efficient infrastructures to optimize data center density, reduce total cost of ownership (TCO), and improve business continuity, redefining what DP servers and workstations should deliver to help businesses be more efficient, dependable, and agile. The Dual-Core Intel Xeon processor 5100 series is ideal for intense computing environments, 32-bit and 64-bit business-critical applications and high-end workstations. Combined with the Intel® 5000 chipset family and Fully Buffered DIMM (FBDIMM) technology, the new Dual-Core Intel Xeon processor 5100 series-based platforms are expected to deliver up to 3 times the performance and over 3 times the performance/watt of previousgeneration single-core Intel® Xeon® processors. The new Dual-Core Intel Xeon processor 5100 series-based platforms are expected to deliver up to 2 times the performance and over 2 times the performance/watt of previous-generation dual-core Intel Xeon processors. software, increasing its efficiency and enabling new capabilities including 64-bit guest OS support. The new Dual-Core Intel Xeon processor 51004 includes new Intel VT extensions to further optimize and accelerate virtualization on Intel architecture. - Intel® I/O Acceleration Technology5 (Intel® I/OAT), hardware- and softwaresupported I/O acceleration that improves data throughput. The Dual-Core Intel Xeon processor 5100 series matched with Intel advanced server technologies help IT operations deliver more services in the same power envelope and work more efficiently. Enhanced processor reliability, PCI Express and FBDIMM memory technology reliability features, and virtualization hardware assistance from Intel Virtualization Technology let you confidently build effective virtual environments. Enhanced virtualization and density optimization allow businesses to concentrate more services in less space and fewer systems. Proven 64-bit computing of the Dual-Core Intel Xeon processor 5100 series gives you additional application headroom, memory flexibility, and increased security. By supporting larger data sets and both 32- and 64-bit applications, new Dual-Core Intel® Xeon® processor-based servers and workstations allow the smooth migration of your business to 64-bit applications. And, with millions of 64-bit processors already shipped, you know you can depend on Intel’s proven track record to help you make a smooth transition to the next-generation of computing.